Panama today finalized a founding agreement with Japan financing up to USD. 2,600 million for the construction of Line 3 of Panama Subway, the largest country’s infrastucture project since the enlargement of Canal. 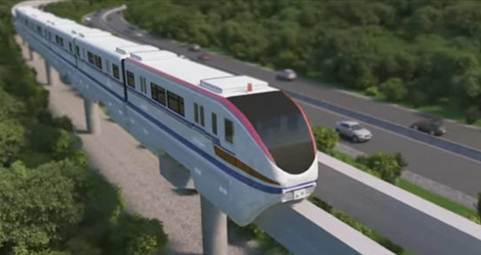 The monorail system will be the first with Japanese technology which is built on the American continent. The agreement also includes a technical cooperation non refundable for hiring Project Manager for USD. 35 millions. The Panama Canal Expansion is the largest project at the Canal since its original construction. The project will create a new lane of traffic along the Canal through the construction of a new set of locks, doubling the waterway’s capacity. The existing locks allow the passage of vessels that can carry up to 5,000 TEUs. After the expansion the Post-Panamax vessels will be able to transit through the Canal, with up to 13,000/14,000 TEUs. Corporación Continental provides liability and financial lines insurance for T.Y. Lin. T.Y. Lin International (TYLI), a globally recognized full-service infrastructure consulting firm, announces that TYLI was awarded the Program Management Contract for the 4th Bridge over the Panama Canal. Continuing the firm’s legacy in the Republic of Panama for the delivery of state-of-the-art transportation projects, the 4th Bridge over the Panama Canal marks TYLI’s third major bridge project involving crossings over the world-renowned canal. Over the last three decades, starting in 1994, TYLI has been assisting the Republic of Panama Ministry of Public Works (MOP) with the widening and retrofitting of the iconic Bridge of the Americas, which opened in 1962, and facilitating bridge repair and maintenance.